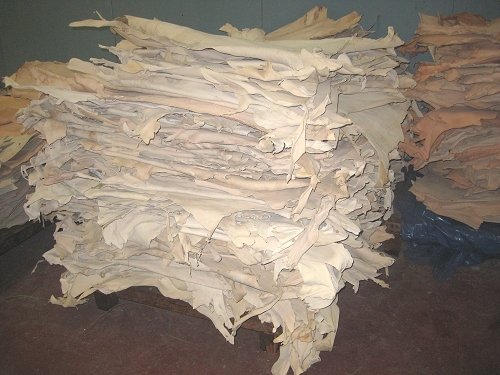 Scandinavian Goatskins ready for processing. 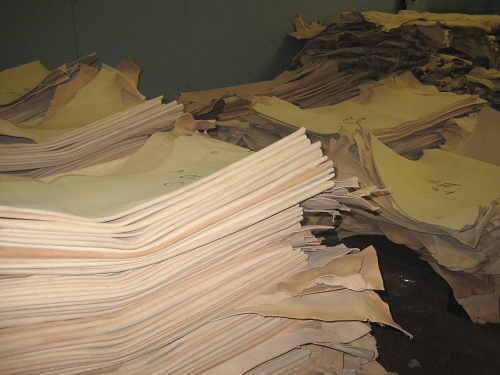 Indian calfskins (foreground) and Indian Goatskins (Background) ready for processing. 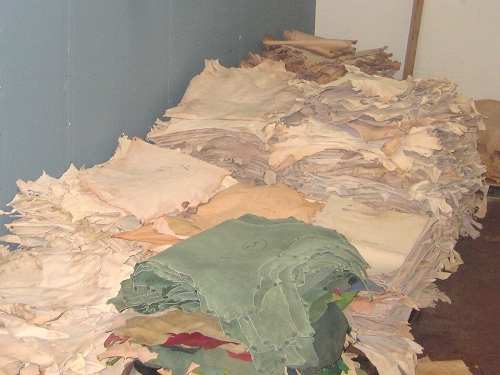 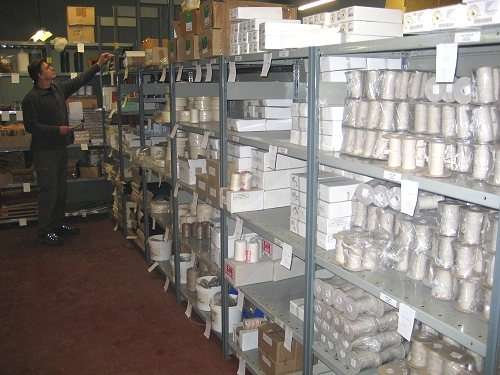 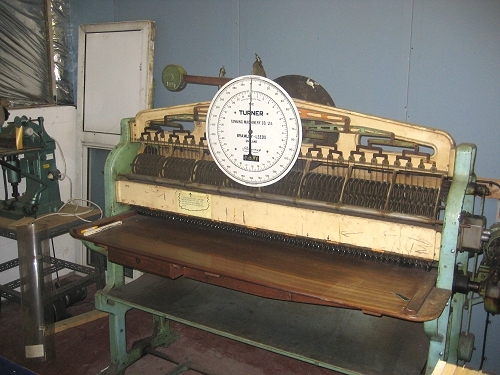 Sorting for skin quality prior to processing. 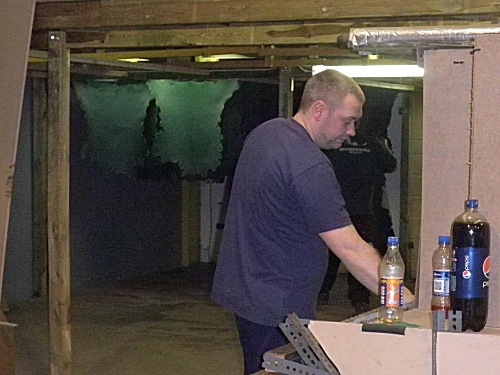 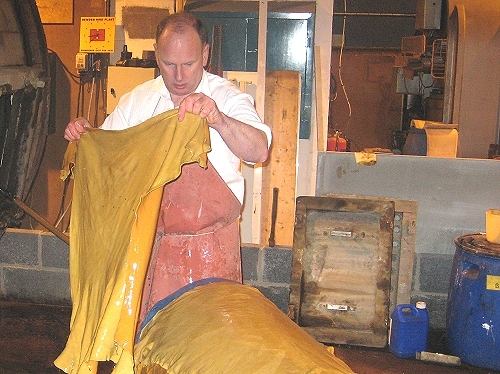 Dyed Goatskins, are removed from the drum and are being 'horsed' up ready to be dried. 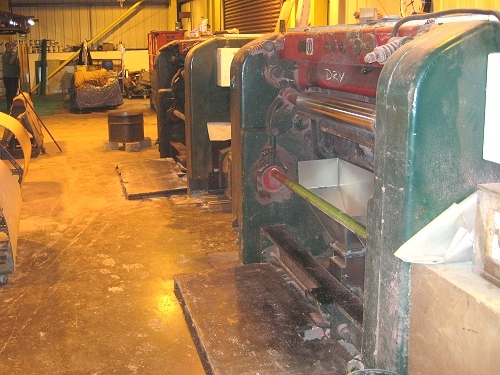 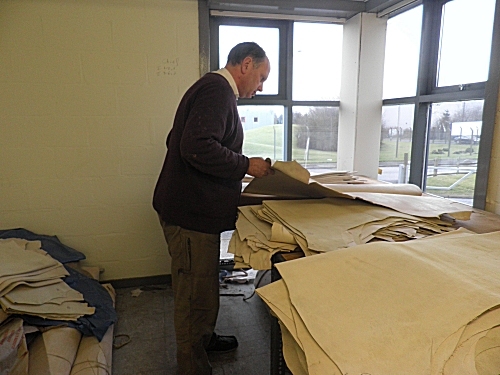 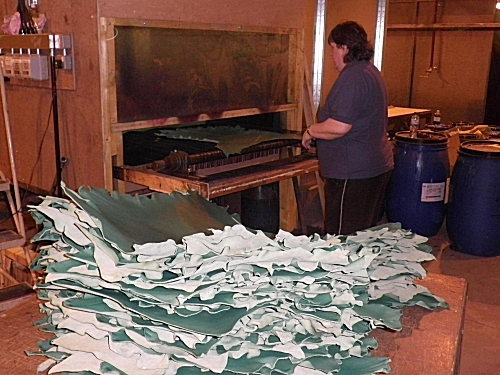 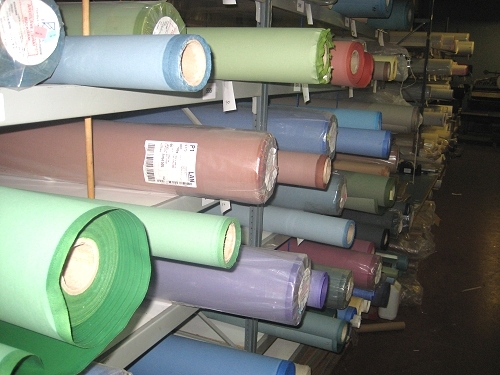 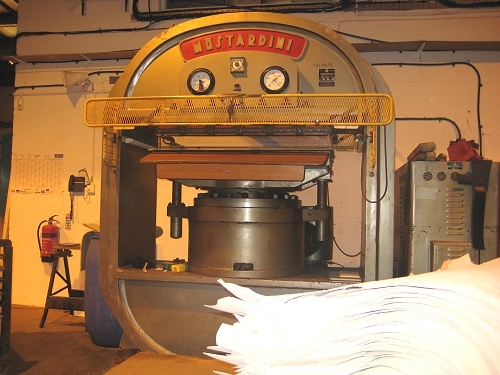 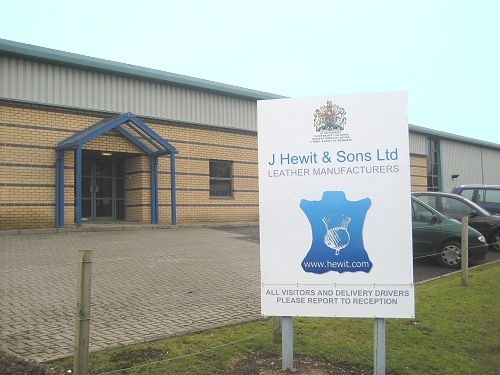 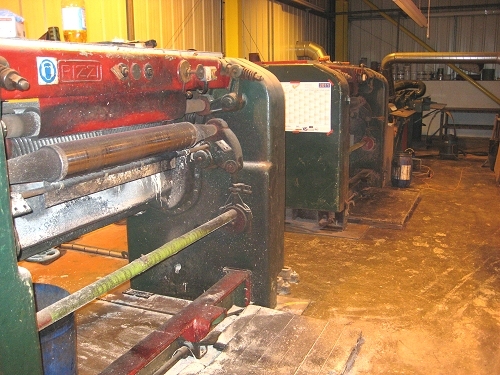 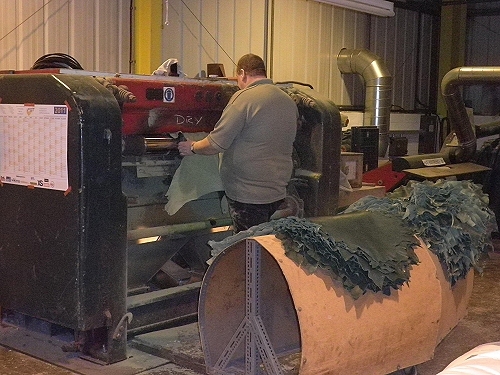 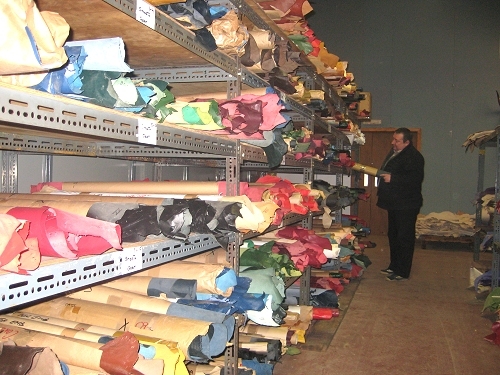 Most of our calfskins and a proportion of our Goatskins are dried on large sheets of glass. 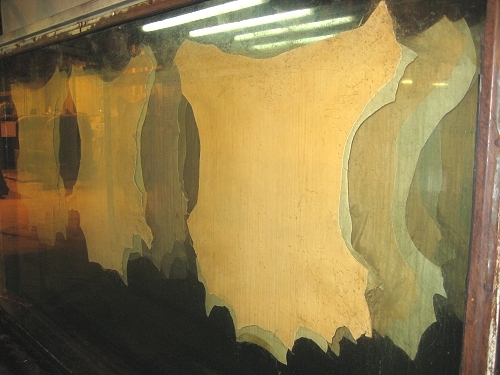 Goatskins drying in the oven. 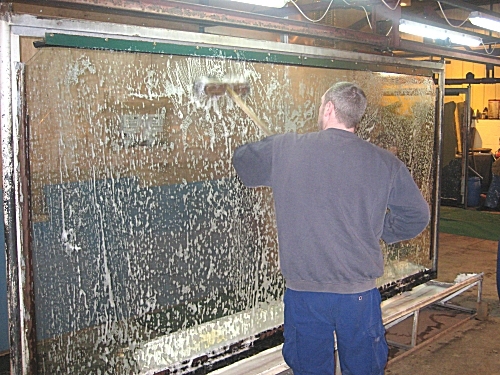 The glass windows have to be washed clean after each rotation. 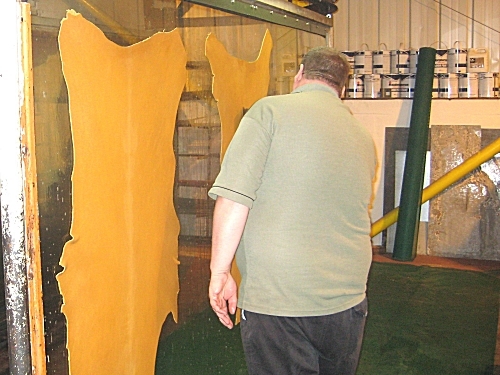 Chieftain Goatskins are shaved to the correct substance. 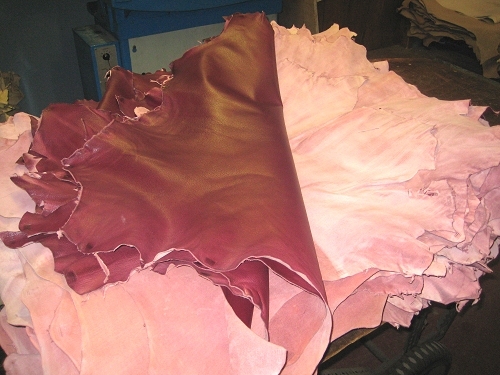 Chieftain Goatskin are surface coloured to bring the colour up to correct specification. 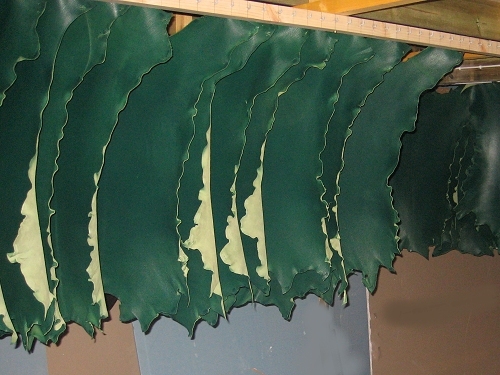 ....the skins are hung to dry. 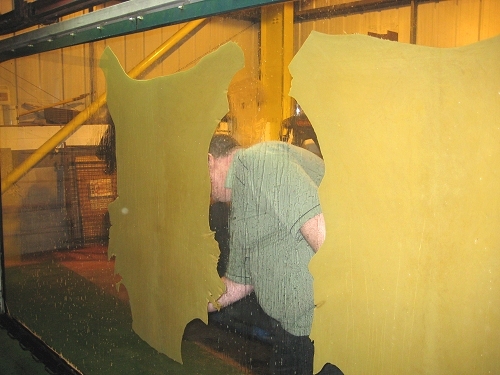 you can see that he survived the move it in one piece!